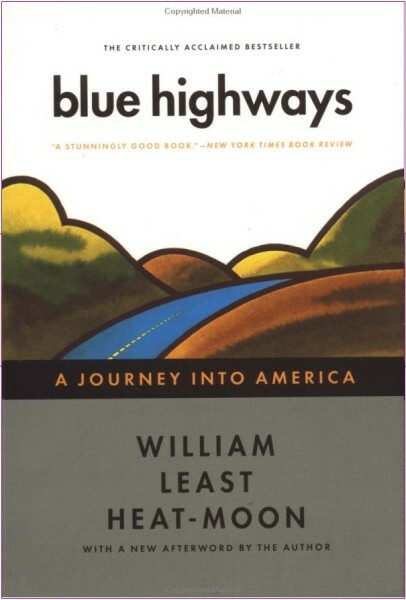 I was picking through the books on the shelf at the store looking for something good to read and I came across William Least Heat-Moon’s Blue Highways: A Journey into America. I seemed to recall having seen the name somewhere before, but couldn’t quite place it at the time. As it turns out, though, it was on World Hum’s 100 Most Celebrated Travel Books of All Time list. In a word: jackpot. I zipped through Blue Highways as though I’d receive one million dollars when I finished. I loved it and couldn’t get enough. With the turn of each page my interest grew and I wanted more. I was just loving it, and couldn’t seem to put the book down. I mean, I took it everywhere with me – even the bar. Heat-Moon widdled the book down from an approximate 800 pages to just over 400. At points I found it to be a bit lengthy, and at others I drooled for more. The stories he tells of his travels and the people he meets while on the road were all excellently written. He has a writing style that I envy and one that I can only hope to learn and improve from. Blue Highways is a top notch book that begs to be read. It all started when he lost his job and his estranged wife found a new boyfriend. He went through hell in a very short period of time, and definitely made the best of it by traveling around the country in his camper van, Ghost Dancing, and writing the story of what he experienced. And it’s one helluva story that without a doubt deserves to be on that list. If I had one complaint, I struggled with the Afterward. It was written 16 years after his initial adventure, and it revealed some things that I wish I didn’t know. The greatest of those things was how he talked of Jack Kerouac’s On the Road. In no way is that a favorite travel book of mine, but I found it rather unnecessary when Heat-Moon put it down. He did this with a few other things, and it just put me off. So, while I loved the book, I just wish that I had skipped the Afterword and got on with my day. Despite my issues with the ending, I highly recommend this story to anyone out there looking to read about an amazing experience. It has definitely had an influence on me. And, without a doubt, it has had one on the literary community as well. I’m happy I read it, and know that I hit the jackpot by pulling off the shelf for a reason I couldn’t totally put my finger on at the time.